In record time, our Walsenburg, Colorado workshop filled in 6 days. We added 5 spots this afternoon to that workshop and in a few hours those last spots were accounted for as well. 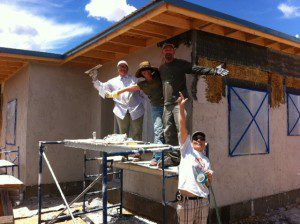 If you would like to be added to the Colorado wait list, please email info@strawbale.com. There is still space in all of the other workshops; however, the Montana and Massachusetts workshops are going strong with sign ups so you may not want to wait long to sign up for those. Sale pricing goes down promptly in less than 12 hours (sale ends at 9am Pacific Time, Friday December 6, 2013). 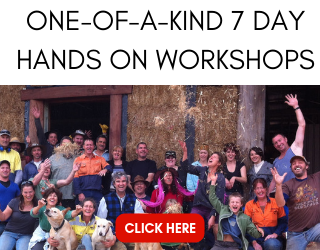 Now’s a great time to secure your spot at a workshop before it fills and to do so at a sale price. Hello Im a single mother with two small children. I live in Texas and have land in SW Colorado I want to build on. With out cramming you full of details now Ill just say that finding a contractor with my vision of Green Building seems to be thus far quite hard. I doubt my ability to do it alone or even muster up kind hearted folks for assistance; seeing as how I know no one up there yet. My question however is this: what would be the likelihood of getting my home build as someones workshop project? Would you be interested? Can you recommend someone who would be? Thank you for your time. Hi Mayla. Thanks for reaching out. 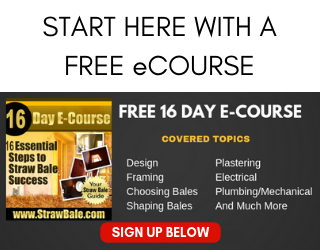 It’s possible that your project would be a good option for a workshop; however, that only covers the bale raising (and associated items like electrical, etc.) and some of the plaster work. The rest of the house would still need to be built before and after the one week class. 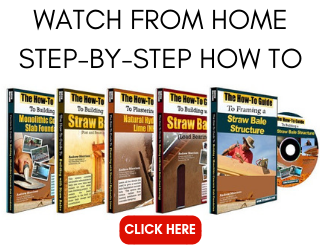 You might want to contact the folks at the Colorado Straw Builders Association to see if they have any local leads that might be helpful for you. You can find their website on line. Good luck.